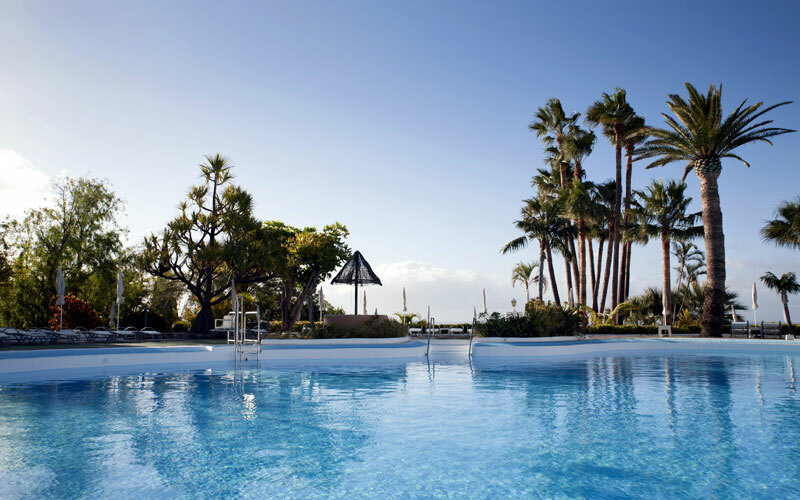 Located on the second smallest of the Canary Islands, this hotel is situated in huge gardens above the lovely small town of Playa de Santiago, with breath-taking views towards the blue waters of the Atlantic Ocean. Although Jardin Tecina is a large property with 434 rooms, it manages to retain an intimate atmosphere as the rooms are situated in low level buildings. The hotel is well known for its large grounds of over 70,000 square metres, featuring over 50 species of plants from around the world. Guided tours are offered each week. Jardin Tecina features a naturist terrace which is open all year-round. The area includes sunbeds with umbrellas and a shower and can be accessed using either stairs or a lift. 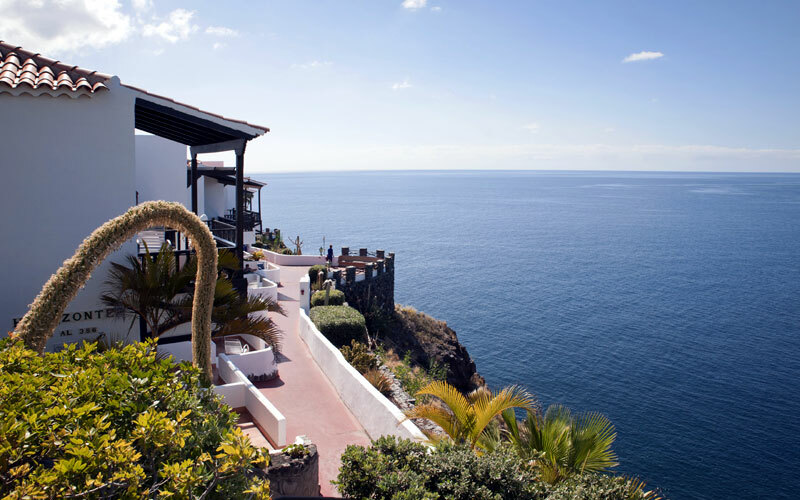 There are three naturist beaches on La Gomera, the nearest being 15 miles from the hotel. We recommend car hire at this resort to enable you to explore this beautiful island and visit the naturist beaches. Car parking is available at the hotel. Transfers can also be arranged if preferred. The Jardin Tecina offers a variety of sports activities. These include their own 18-hole golf course complete with unique sea views! Tennis, with illuminated courts, squash courts, table tennis and a fully equipped fitness centre with sauna, massage and a beauty salon. A daily programme offers a range of activities with dancing and regular evening shows. Scuba diving, mountain biking and fishing are also available on the island. The hotel has five swimming pools, including one sea water and Jacuzzis. A wide variety of water activities are on offer, including water polo, water volleyball and aqua gym. The hotels kids club accommodates children from four to twelve years old. 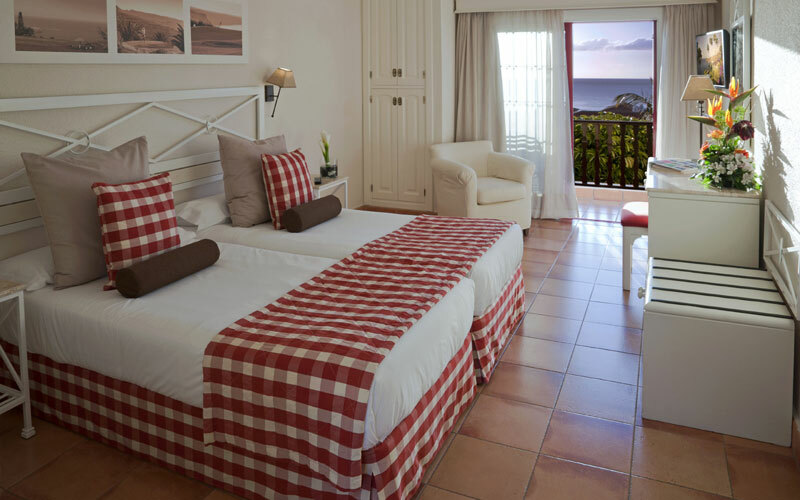 Standard Rooms with garden or pool view, Comfort Rooms with side sea view and Superior Rooms with a full sea view all offer a balcony or terrace. 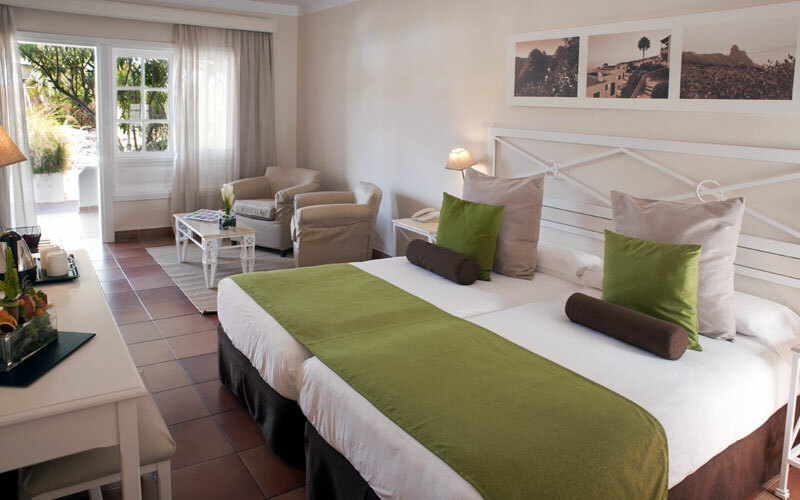 Junior Suites have a separate sitting area and a large balcony or terrace. The Duplex Suites are over two floors and all grouped around their own swimming pool. They offer two bedrooms and a separate lounge area with iPhone dock. The restaurants at Jardin Tecina offer a choice unsurpassed on the island with elaborate gastronomy and service from a great team of professionals. Five bars compliment the catering offered by the hotel. At the Principal Restaurant enjoy a varied buffet with hot and cold dishes. This venue is included in the half board option and is open for breakfast and dinner daily. 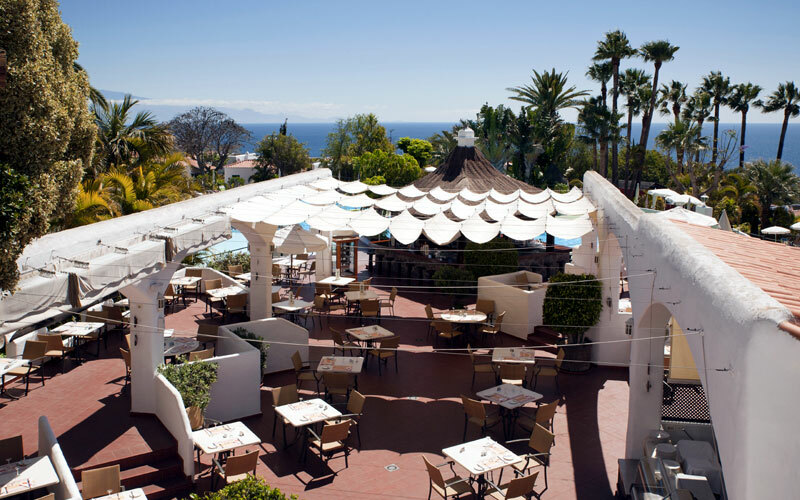 At the Gara Restaurant, you can enjoy a varied breakfast overlooking the beautiful gardens surrounding the hotel and the ocean. A wide and rich variety of products to choose from: cereals, fruit from our garden, delicious juices, coffee, hot and cold dishes, among others. In the evening a very exclusive dinner is served, a new concept of Canarian Enogastronomy with cuisine and wine from all the islands, a path littered with textures and colours to delight your palate. 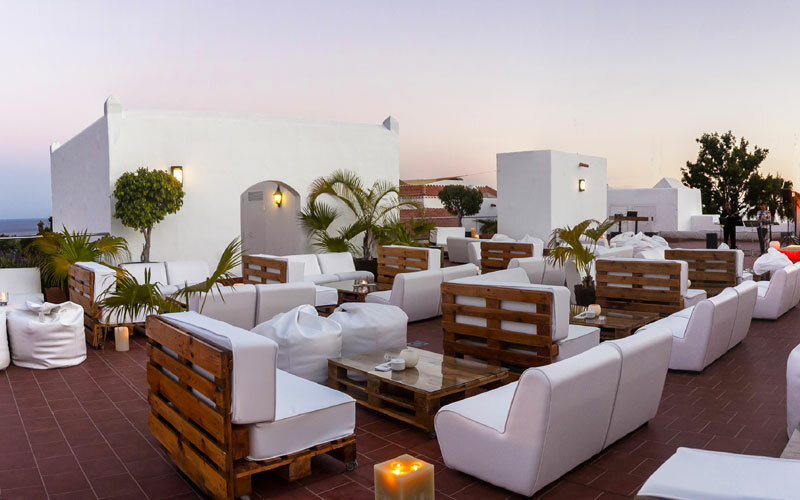 Located at Club Laurel beach, the Club Laurel Restaurant is a space that melts into the environment making it ideal, an oasis beside the beach where you can enjoy the best cuisine, made by the excellent chefs that offer the best selection of grilled meats and fresh fish. A day under the sun, or during the night followed by a sky full of stars, providing tranquillity and beauty, perfect for a romantic meal or with friends. Lunch and dinner served. 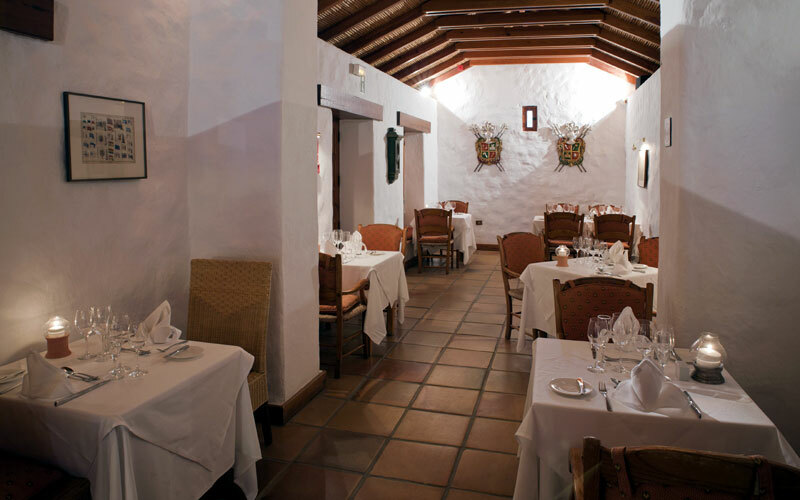 In Tasca Fandango you will enjoy the deepest Spanish and Canary culinary roots. The wide wine choices will complete the full experience in a cosy and intimate atmosphere. Dinner only is served. The Pool BBQ is positioned by the main swimming pool and serves a wide range of exquisite dishes, surrounded by lush gardens with ocean view. From seasonal vegetables to local fish of the day and supreme meat. Don't miss the paella demonstration on Sundays. Open for lunch only. Please note that gentlemen are requested to wear long trousers for dinner at all hotel venues.